I've never seen these before and after a quick Google search, I found out these just came out earlier this year. But before I go on with this post, can we just take a moment and be in awe of this packaging?? First off, I love the hexagon tin can! It also comes in your typical glass jar but I don't own anything like this so I figured it would be great to add to my collection. 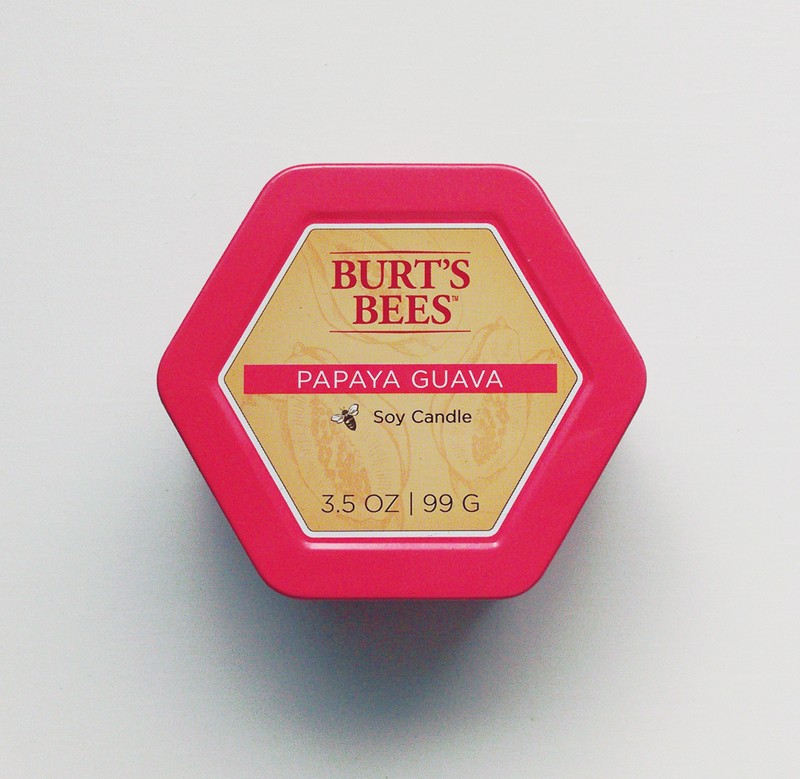 I only purchased Papaya Guava (ohh man, this smells amazing! 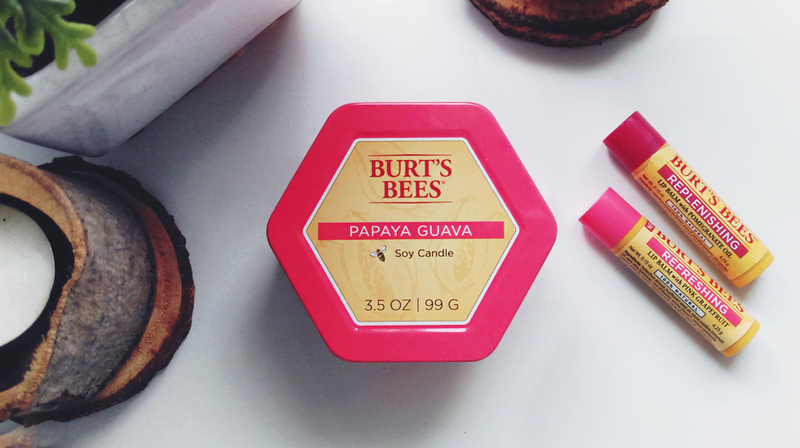 Wish you could scratch-n-sniff your screen on this photo and smell it!). Other scents included Lavendar Fields, Eucalyptus Mint, Farm Fresh Apple, Cucumber Melon, Vanilla Honey, and Cotton Blossom. But upon more research online, there are even more scents! Come on Kmart! Stock ALL of them please!! I saw on Walmart's website that they sell them as well but I didn't see them on my last visit to the store :( This happens all the time when I try to find products at a local store. Most times it's either sold out or not even offered. Lame! But luckily you can get them all on Amazon so check that out! 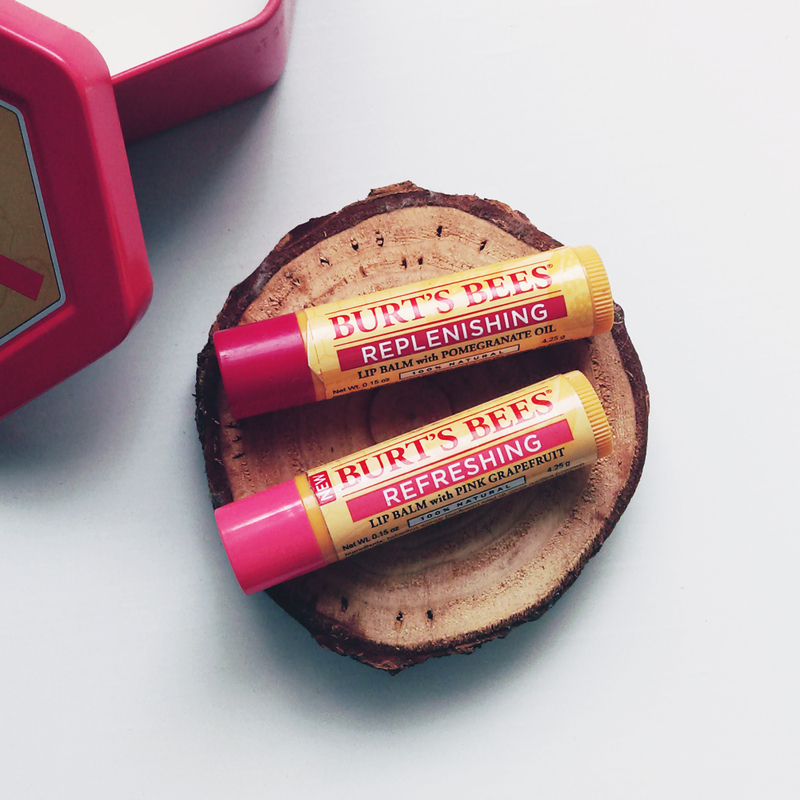 I've been using Burt's Bees lip balm products since high school and I love their dedication in creating products with natural ingredients. This helps so much, especially for people like me who have very sensitive skin and tend to have allergic reactions to many beauty brands. 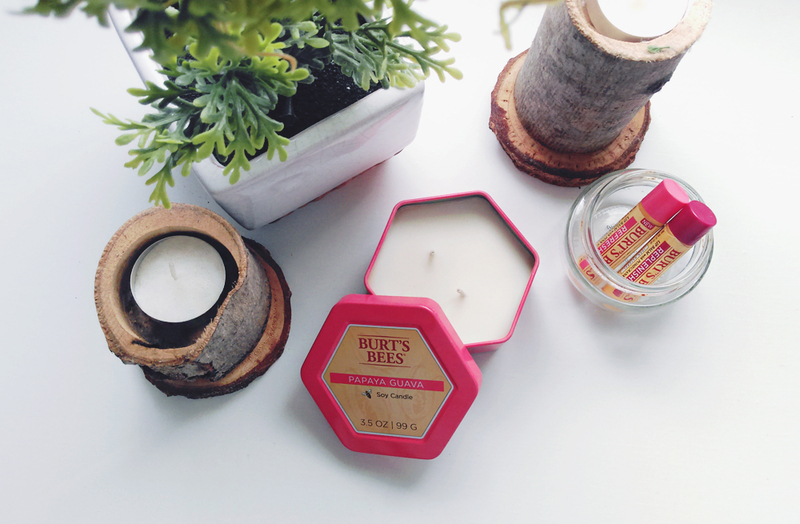 I've been using my two favorite lip balms from Burt's Bees for a few years now. They are so hydrating and smell AMAZING! The two I currently have are the Replenishing Lip Balm with Pomegranate Oil and the Refreshing Lip Balm with Grapefruit Oil. 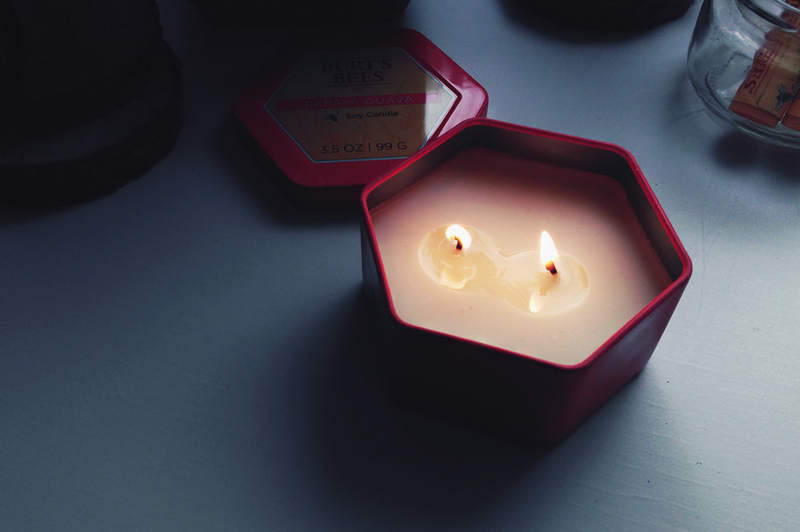 Wish they made the candle versions of these!! The Burt's Bees packaging has got to be one of my favorites in the Health & Beauty department. I simply adore the illustrations on all of their products (see a range of their products here). I think their packaging design is so iconic; so simple yet unique at the same time. It's hard for companies to stick to a specific look for many years (which is why it becomes a bit controversial when major brands start re-branding) and I appreciate Burt's Bees for always sticking to the same design aesthetics. That's what keeps a brand recognizable! And now...time to light this thing!